I'm so excited to announce that after 8 months of hard work with my team of coaches, I've reached the Three Star Diamond Rank within Beachbody. I also became Canada's Top Beachbody Coach Earner this week, earning nearly $4,000 in one week. I would love to say it was easy, but it wasn't. It was a lot of hard work and spending a lot of time with my coaches and challengers making sure they were all successful. It included a lot of personal development as well. In the last 8 months I read over 60 books ranging from network marketing, sales, and leadership. I wanted to give a special thank you to all my Diamond Beachbody Coaches that made this all possible. Without their strong leadership, and growth of their own businesses, non of this would be possible. Beachbody's Top Coach, Lindsay Matway, even took the time to post the accomplishment on her facebook page, which is incredible. I wanted to save it forever so I pasted it below. It has a lot of neat stats of what I was able to do over the last 8 months with Beachbody. I'm not sharing it to brag, I'm sharing it so you can see what is truly possible with Beachbody Coaching if you want to be a full-time Beachbody Coach. and now today, he has become THEE VERY FIRST 3 STAR DIAMOND COACH in Canada!!! Not only THAT, he decided to go and break our TEAM RECORD for sales last week, ending the week at 4,305 PV!!! Whaaaaaat!?!? 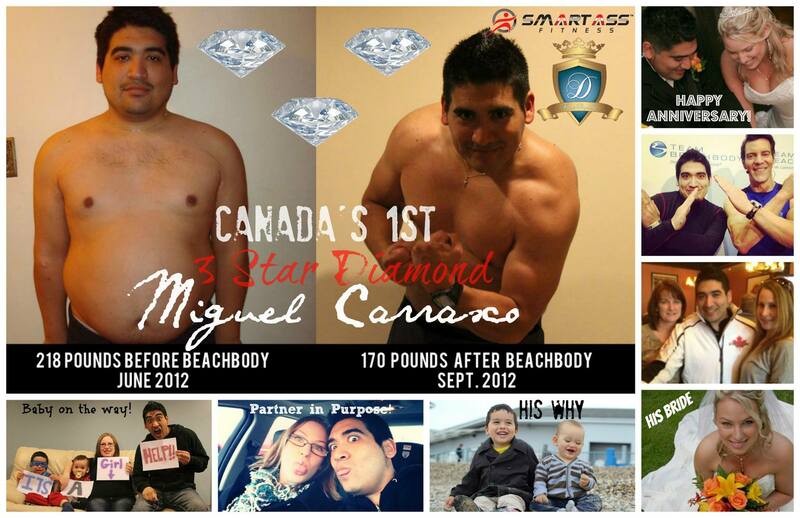 All of this success with Beachbody couldn't have come at a BETTER TIME, as Miguel and his gorgeous wife, Erin Carrasco, are expecting their 3rd baby, a little girl and he has a goal of being a stay at home daddy with his Carrasco brood! 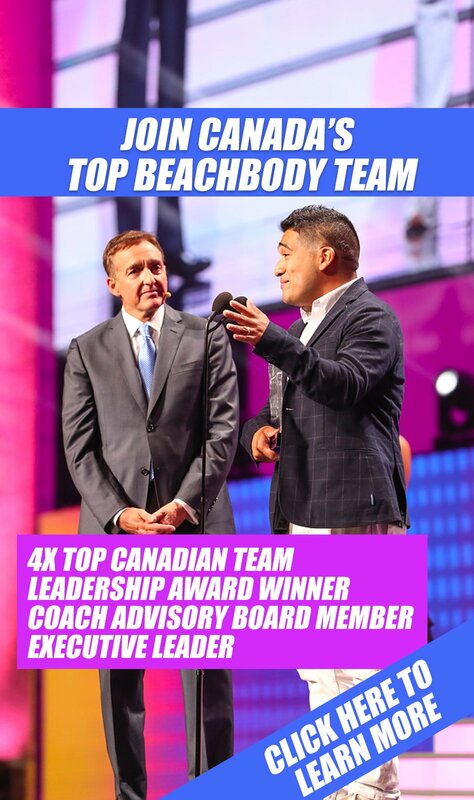 Shouldn't be a goal that's very far from being achieved, I just received confirmation that Miguel is the TOP EARNING COACH in ALL of Canada, nearing the $4,000 a week mark only 9 months into the business!!! (UNREAL!!!) Not a bad way to CELEBRATE his 7 YEAR ANNIVERSARY with his wife, Erin, today!!! Miguel, I could not be more proud of everything both you and your TEAM have achieved!!! I feel blessed that God not only crossed our paths, but linked them! You are destined for greatness and are impacting SO MANY lives! Let's keep this amazing trend going!!! If you have been thinking about becoming a Beachbody Coach, now is the best time to make the move! I am looking for people that want to learn the business, and become Diamond Beachbody Coaches. 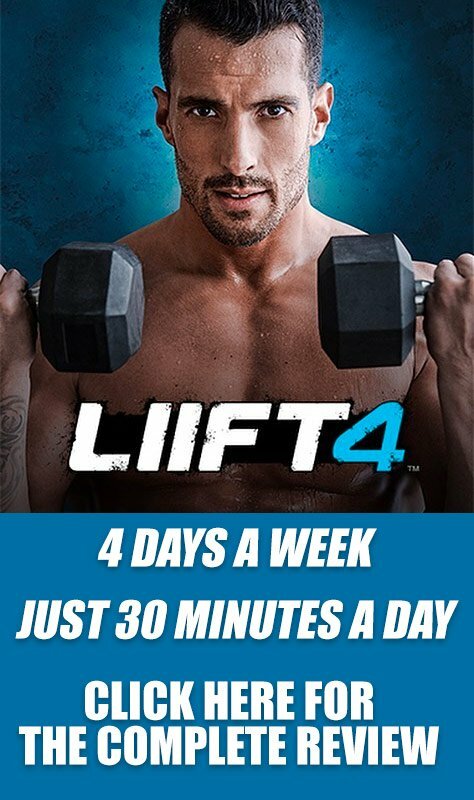 If you think you have what it takes to get in the best shape of your life, and help others do the same, please fill in the form below and add me on facebook. I'll get back to you right away!